Winter’s here, and if media reports are to be believed, we’re in for a cold one, with some reports suggesting we’re in for the worst winter in a generation. While according to the Met Office, ‘the science simply does not exist to make detailed, long-term forecasts, it’s worth remembering that as well as red noses, winter can bring with it a host of hazards other than simply driving in snow, including driving in ice, rain and fog. Of course, if the conditions are very bad, you simply shouldn’t be out on the roads unless the journey is absolutely necessary. However, if you do venture out, be sure to take a look at these six winter driving myths – you might be surprised by the reality! 1.) MYTH – If you do find yourself forced to drive in snow or ice you should try to avoid using your brakes, and instead slow down by using your gears. REALITY – This would depend on the exact circumstances. It is more important to make sure that the vehicle is moving in a straight line when either increasing or decreasing speed. Any input from the driver to control the speed should be made as smoothly as possible. 2.) MYTH – In the event that you find yourself skidding you should steer into the skid. REALITY – No, instead you should look in the direction in which you want to travel and steer that way. However, understanding the theory is one thing – having the wherewithal to respond intuitively in such a manner is another and is likely to require specific driver training. 3.) MYTH – Your fog lights are for use in fog. REALITY – Not necessarily. Your fog lights are for use when you are driving in conditions that make it hard for you to see other vehicles, and ergo for them to see you. If you use fog lights when other drivers can see you clearly, you could actually make driving conditions less safe for other road users by creating unnecessary glare and diminishing the impact of brake lights. Front fog lights are to enable the driver to see the kerb and white lines on the road surface not to make the car look cool. In the event that fog lights are necessary you should be fully familiar with the vehicle in which you’re travelling and therefore be able to locate the switch for them easily. 4.) 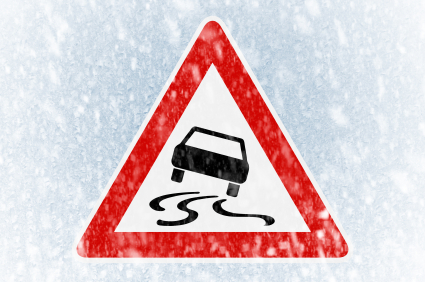 MYTH – Getting a stationary vehicle moving in snow or ice, particularly when on a slope, requires hard revving to provide the initial impetus for movement. REALITY – No. In fact, the application of the above technique may further compact the snow and ice under your tyres, thus creating a polished surface and further impeding your progress. Instead you should use a higher gear and fewer revs to get your vehicle moving. You can also keep a shovel in your car as part of your winter driving essentials whilst a piece of carpet under the drive wheels may also assist. 5.) MYTH – As long as I clear my windscreen of snow I will be alright. REALITY –Although clearing the windscreen of snow is obviously important, all other windows should be cleared as well. Drivers often forget to clear the roof and bonnet and then the snow slides or blows off to cover the windows you spent all that time clearing, thus blocking your vision or that of others. 6.) MYTH – Modern vehicle technology will save me if I get it wrong. REALITY – ABS, ESP, ESC and the like have certainly improved road safety and saved many lives but they should not be relied upon as none of these systems can rewrite the laws of physics. The advantage of these systems is that they react quicker than the driver and will choose the correct action to get the vehicle back on track if this is possible. The systems also need some grip to work effectively too, so when it’s very slippery they can become less effective. 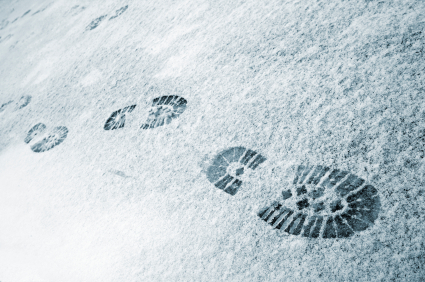 For more information about winter safety, please visit the RoSPA website. Take a look at winter driving myths blog and slideshare.